My name is Beth and I am a massage junkie. It’s no secret that I adore a good massage, in fact I’m somewhat suspicious of people who don’t. From Swedish to Thai to Deep-Tissue; I’ve tried them all. My quest across the Capital to find the best massage has left me at times soothed, and at others awkwardly lying naked in a cold room wondering whether the masseuse has ever heard of hand cream (no, really). So when Spa & Massage invited me to their Fitzrovia branch to test out a treatment, I jumped at the chance. I booked my appointment for late afternoon on Friday 13th; the superstitious side of me took over and I wondered if perhaps I would be in need of a pick me up. As luck would have it, Friday the 13th was kind to me, however I was completely exhausted after a week of deadlines and of general January malaise. I’d also chosen that week to return to the gym properly after spending the festive period eating Quality Street and drinking Baileys for breakfast, so the treatment felt well-needed and well-deserved. The spa is located on Newman Street, a short stroll from Tottenham Court Road station. 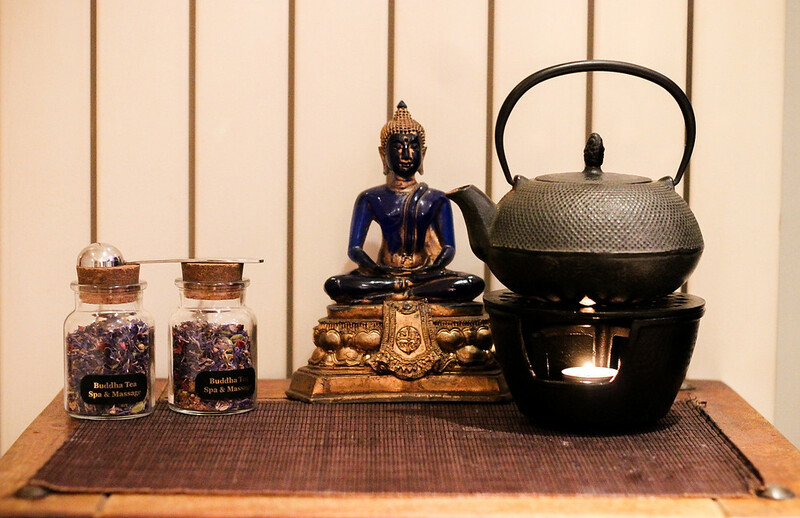 The Fitzrovia location has both its pros and cons; it’s extremely central and easy to reach and escaping the hubbub of Oxford Street (aka Hell on Earth) into the incense-scented haven of Spa & Massages’s basement hideout is a form of bliss in itself. One that made me feel very smug. However, this does also mean that you have to step back out onto Dawdling–Tourist–Circus once your treatment is over; a sure fire way to quickly burst your bubble of tranquility! 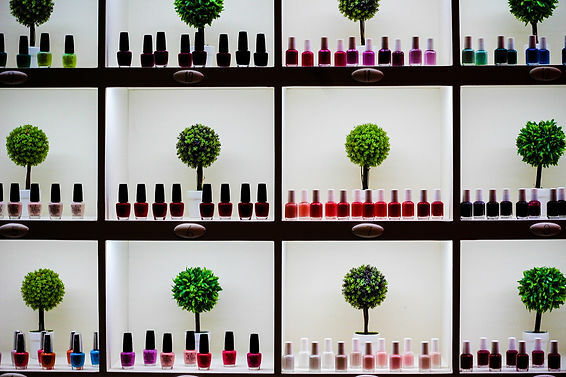 Above Spa & Massage is the newly opened Boutique Spa, and after a wander around to admire their decor – the neon sign writing and the wall of nail polishes a must see – I was shown downstairs to the massage spa, where I was greeted by two incredibly friendly receptionists. Unlike the bright and colourful interior of Boutique Spa, Spa & Massage oozes a different sort of charm; swapping hot pinks for warm beiges and filling the air with a musky scent – the effect is one of instant relaxation. Creating the right ambience, from reception through to treatment room, is something which I have come to learn is of great importance in the massage world; however talented the masseuse has been, I have never felt as satisfied when I’ve visited plainer or more clinical feeling salons. 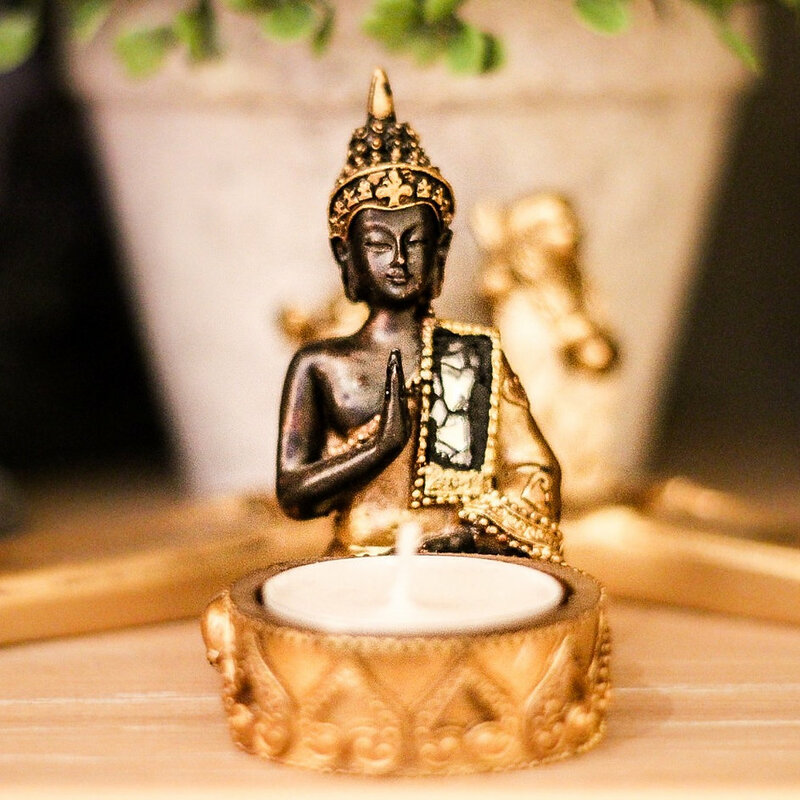 So the candles, the incense sticks and the dim lighting employed by Spa & Massage was incredibly welcomed; I felt as though the treatment had begun from the moment I entered the reception, which is exactly how it should be. After a home-blended herbal tea (delicious!) and a quick consultation I was ready for my Aromatherapy Massage. My masseuse, Elena, discussed the treatment with me and asked exactly where I’d like her to focus and what kind of pressure I would like. This may seem very obvious information to gather, but I’ve been surprised by the number of masseurs who have just launched into a treatment without knowing a thing about me, and I’ve often then been a little too shy to say when it hasn’t been quite right. Elena made me feel at ease in her warm, oily, capable hands and she actually listened to what I had told her, which is another quality often overlooked. When I led down upon a heated lounger I knew we were off to a good start – why doesn’t everywhere use these?! The massage itself was deep and invigorating; at times it was painful but this was due to my aching muscles rather than Elena’s technique, and I definitely felt as though I could correct her if I wasn’t comfortable enough. She focussed on the areas I had requested and quickly found and released all my knots to my instant relief. There’s no denying that it was a top-quality massage, but for me the real test is whether or not I fall asleep…And, as Elena kneaded away I slipped into a deep trance–like state, soothed by the warm blend of black pepper, rosemary, sage and lavender oils which had been recommended to me. In terms of value for money, Spa & Massage is competitive for the location. I tend to think of £1 per minute being standard fare for London massages, and at £59 for an hour (£64 for Aromatherapy) this spa is comfortably value for money. They also offer package deals for the regular massage–goer (wouldn’t that just be the dream?!) that offer some generous discounts; from 3 massages at £50 each to an incredible 25 at just £35 each! I’ve had more expensive massages that haven’t been a patch on Elena’s skill, and I’ve also had some pretty terrible discount massages, so I can confidently say that I would return to Spa & Massage. There are five branches in London; Fitzrovia, Chiswick, Earl’s Court, Bayswater and Belsize Park, and each are open 7 days a week from 10am to 11pm. I do feel a little sorry for the therapists who have to work that late, however it does mean that you really can find an appointment to suit you any time of the day or week. I’ll definitely be frequenting this place in the future, and hope to pop into the gorgeous Boutique Spa upstairs too! I received my treatment complimentary from Spa & Massage. All views are my own.